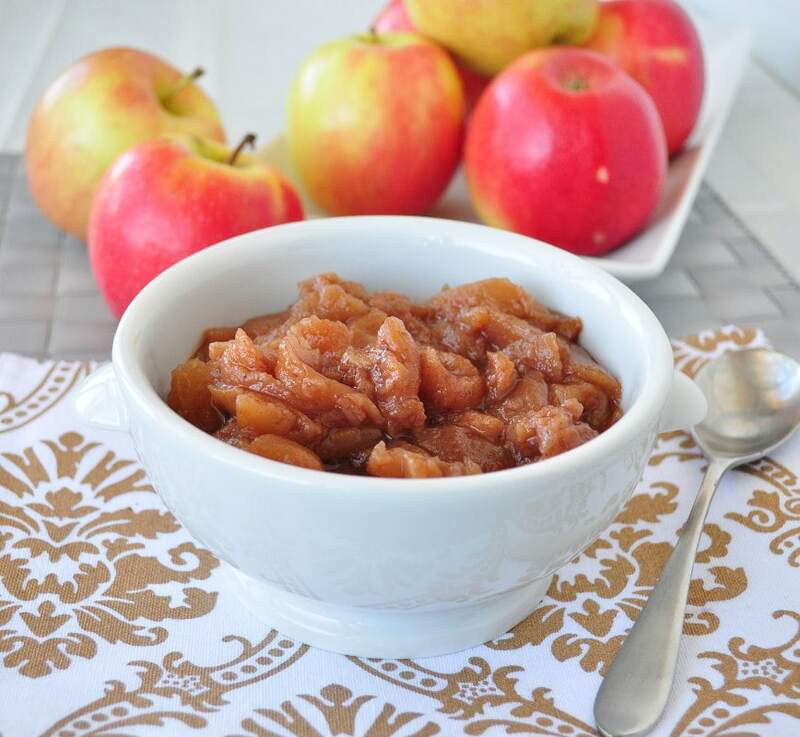 I have been making this Crock Pot Applesauce recipe for quite sometime now. I had never put it up on the blog, but after quite a few requests, I decided to do so. 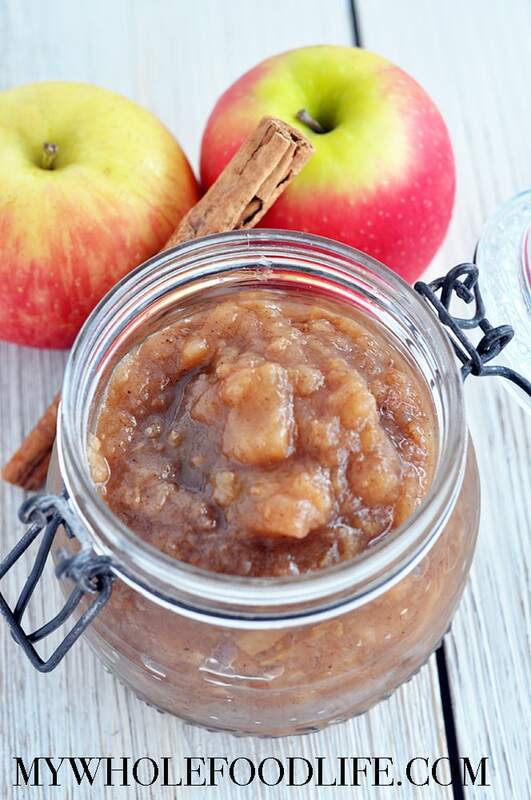 This crock pot applesauce holds a special place in my heart. When I was a little girl, we would go to my great grandmother’s house for the holidays. She lived in this really old apartment building that she owned. It is still in my family to this day. Us kids always wanted to eat her applesauce. She made the best I ever tasted. I think if she were alive today, she would approve of my version. It is pretty darn good! The best part? There is no sugar added. Slow cooking the apples in allows for the natural sugars to come out. Plus, adding spices like cinnamon, nutmeg and vanilla beans, makes the dish seem sweet without having to add any sugar. I also make a delicious slow roasted pear crumble in the crock pot. I used pink lady apples so they have a bit of tartness too that I just love. Any apple would work though. The apple peels didn’t go to waste either. My daughter munches on them as a snack. The dog does too! Now i just need to figure out how to make this in the Instant Pot. If anyone tries, please let me know the results. 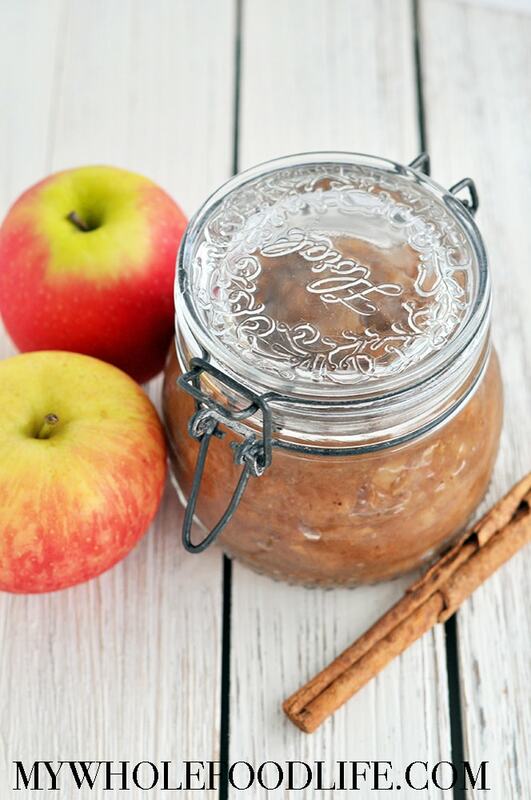 This crockpot applesauce is a perfect blend of apples and spices slow cooked in the crock pot to create an applesauce that will take you back to your childhood. Cook on high for the first hour, stirring occasionally. Then turn to low and cook for another 6 hours or so. The longer the better. I like my applesauce chunky, but if you like it smooth you can blend it at the end. That’s it. Your house will smell better than any Yankee Candle ever would! What are some of your favorite things to make in the crock pot? I am making it this afternoon! Cooking right now!